Trucks for sale - USAHaul.com - trucktrader, Trucks, Tralers, Heavy Equipment Auction. Here we are talking about commercial trucks for sale or heavy duty trucks you can find in online truck auctions. We have a website solution which allows you to post your heavy duty trucks for sale or create a truck auctions. This is not limited just to truck and tractor (semi truck) sales and auctions. You can also post trailers for sale (semi truck trailer), heavy equipment (excavator, backhoe, dozer, and other machinery) and other construction equipment. So you can just sell your equipment in a usual manner by posting its information and put a BUY NOW price for others to purchase. Another, maybe more interesting option is to put your trucks for sale in an auction and let people bid on it. You can, as on Ebay, define your reserve price which if not reached, your truck, trailer, or other heavy equipment will not be sold. Auctioning and bidding on equipment is convenient and cost effective. 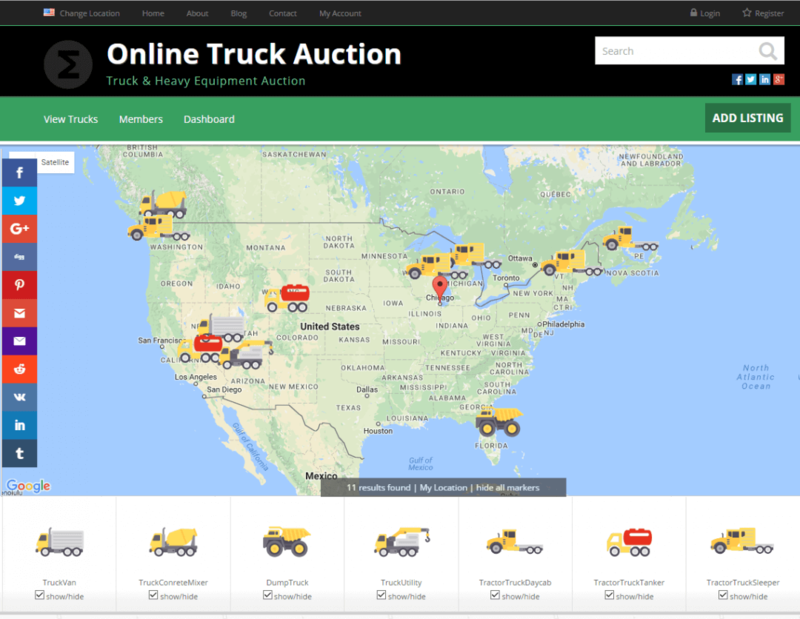 Powered by USAHaul.com brings together buyers and sellers to exchange equipment at auction values. Sellers list equipment on USAHaul.com for a low flat fee. Bidders pay no buyers fees as opposed to Ebay.com. The result is savings for everyone. USAHaul.com is a product of WebProgress.Net, Inc. of Chicago, Illinois, USA. We are incorporated since 2002 and have previously developed accounting software for the trucking industry (involved with for about 5 years) which was conveniently calculating IFTA’s, New York, Oregon, New Mexico, and other highway taxes as well as owner operator and company driver payroll and tracked fuel consumption from Comdata, Apex, FleetOne, Flying J, and others.